Recipes, text and photographs are © Copyright The Brûlée Blog, 2008 - 2011 unless otherwise noted. All rights reserved. Print publication and content aggregation only with permission. One of my Easter meals was a dinner with friends at Mexico Lindo. I had heard a lot about this place, so I was excited to give it a try. The restaurant is quite small, and was full when we arrived. After waiting for a short time, we were seated. Surprisingly, the later it got, the more empty the restaurant became. So if you want a table on a Saturday night, come at 7:30 p.m. Service was extremely friendly and even a little entertaining. The food also arrived relatively quickly. To start, we ordered a jug of agua de Jamaica (Jamaica water). 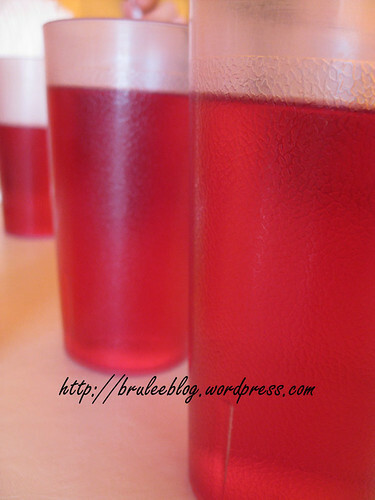 This is cold iced tea made from hibiscus flowers. And it tastes like liquid haw flakes (a.k.a. Chinese candy that is addictive like crack). To start, I decided to go with the sopa de tortilla (tortilla soup). Soup is served at this restaurant in two parts. 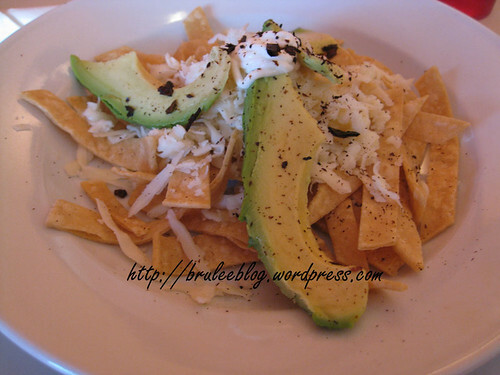 First, I was given a bowl of tortilla chips, cheese and avocado. I have finally sampled pizza nirvana (or at least as close as you can come when you are in Edmonton). 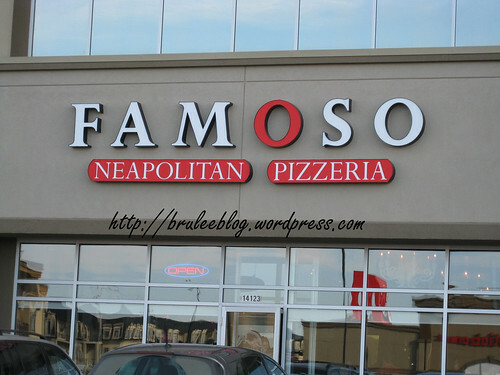 A group of friends and I trekked over to the south-side Famoso Neapolitan Pizzeria for a get together on Saturday. Greedily, we decided to order one different pizza each – that way we could try many kinds and share slices. It was a little bit too much pizza to eat (many of us took home leftovers), but we were happy to sacrifice ourselves for the sake of good eating. They were all excellent pizzas, but I admit I did have a couple of particular favourites. 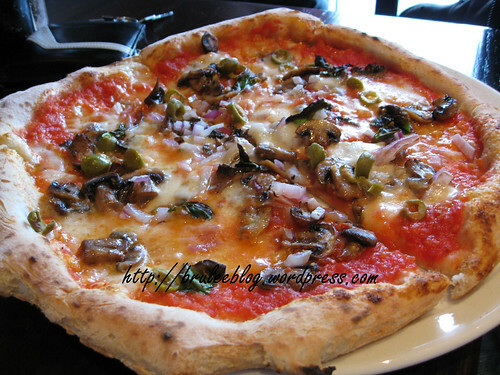 Famoso’s pizza uses highly refined, low-gluten flour imported from Italy. This means a thin, crispy and light crust. No greasiness here – just the light taste of olive oil and fresh ingredients. Pizzas come with 2 sauces depending on which pizza you order; the pizza rossa (red), which consists of San Marzano tomato sauce made of crushed tomatoes and basil leaf, and the pizza bianca (white), made with extra virgin olive oil, garlic and oregano pizza sauce. Also, while many of the pizzas contained cheese, the amount of cheese on the pizza is a lot less than what you find on North American pizzas. I love cheese, and I was surprised at how little I missed having so much of it on a pizza slice. Pizza #1 – Margherita – fresh mozzarella, fresh basil and extra virgin olive oil, with added extra toppings of olives, onions and roasted mushrooms. Was yummy but had a few too many olives for my taste. Enter your e-mail address to subscribe to this blog and receive notifications of new postsl.